Imagine a world where all the news you see is defined by your salary, where you live, and who your friends are. Imagine a world where you never discover new ideas. And where you cant have secrets.Welcome to 2011.Google and Facebook are already feeding you what they think you want to see. Advertisers are following your every click. Your computer monitor is becoming a one-way mirror, reflecting your interests and reinforcing your prejudices.The internet is no longer a free, independent space. It is commercially controlled and ever more personalised. 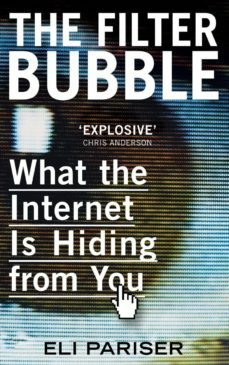 The Filter Bubble reveals how this hidden web is starting to control our lives - and shows what we can do about it.